Please select the correct Adjectives and Nouns to complete the sentence. 1. Japanese (ADJECTIVES CARD 30) (NOUNS CARD 3) expectancy is the longest in the world. 2. It is a (ADJECTIVES CARD 10) (NOUNS CARD 42) that the earth goes around the sun. 3. It was a (ADJECTIVES CARD 41) (NOUNS CARD 2) in July. 4. I have to make a (ADJECTIVES CARD 46) (NOUNS CARD25) for him. 5. She had the (ADJECTIVES CARD 39) (NOUNS CARD 96) of studying hard but failing the exam. 6. We have to focus on (ADJECTIVES CARD 17) (NOUNS CARD 77) in this society. 7. This is a (ADJECTIVES CARD 12) (NOUNS CARD 22) between you and me. 8. 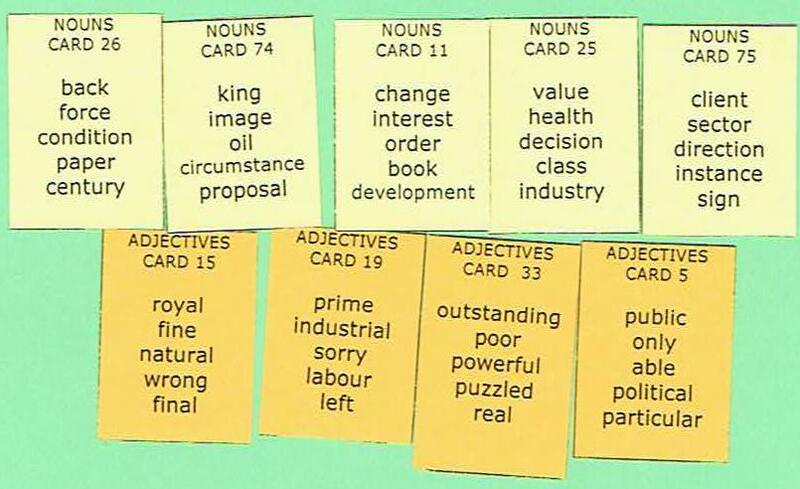 They were called up for (ADJECTIVES CARD 20) (NOUNS CARD 55). 9. 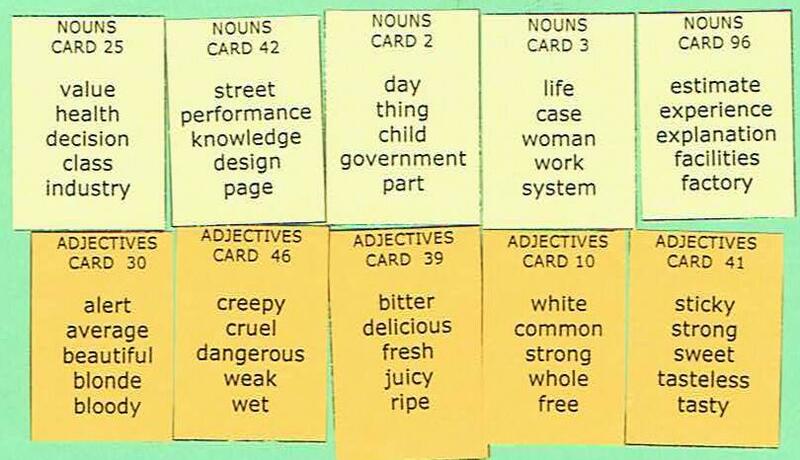 I have a (ADJECTIVES CARD 29) (NOUNS cARD 54) of my childhood. 10. She gave me a (ADJECTIVES CARD 23) (NOUNS CARD 92). 11. 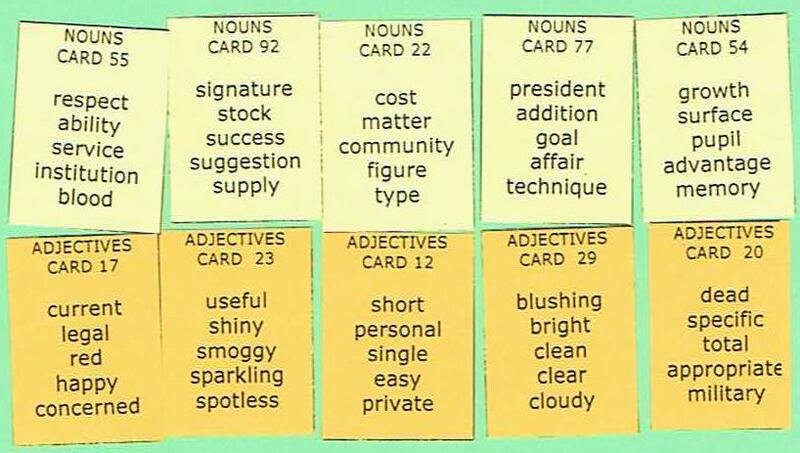 It's a big task for every company how to educate the (ADJECTIVES CARD 19) (NOUNS CARD 26). 12. After a while, we realized that we were going in the (ADJECTIVES CARD 15) (NOUNS CARD 75). 13. I believe that the experience was of (ADJECTIVES CARD 33) (NOUNS CARD 25). 14. 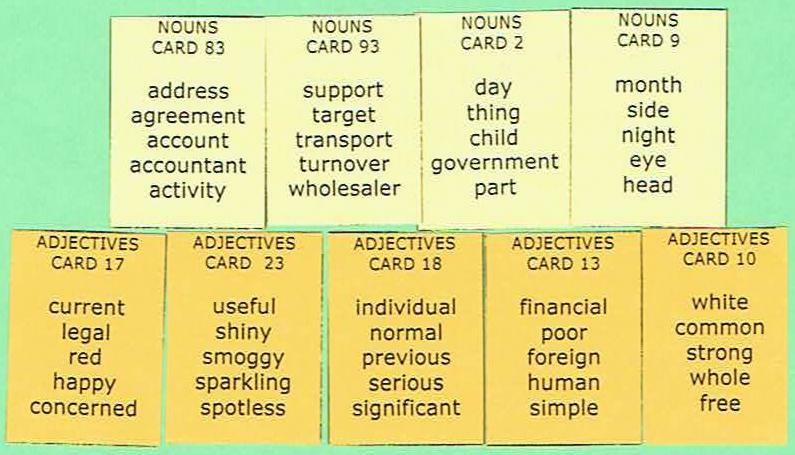 The tax issue is of (ADJECTIVES CARD 5) (NOUNS CARD 11) all the time. 15. Today, our lives depend on (ADJECTIVES CARD 15) gas and fuel (NOUNS CARD 74). 16. I spent a (ADJECTIVES CARD 10) (NOUNS CARD 2) cleaning my house. 17. They gave me (ADJECTIVES CARD 13) (NOUNS CARD 93) to graduate from my university. 18. After moving, I changed my (ADJECTIVES CARD 18) (NOUNS CARD 83) to the new one. 19. I don't like to drive on a (ADJECTIVES CARD 23) (NOUNS CARD 2). 20. The (ADJECTIVES CARD 17) students were learning real (NOUNS CARD 42).